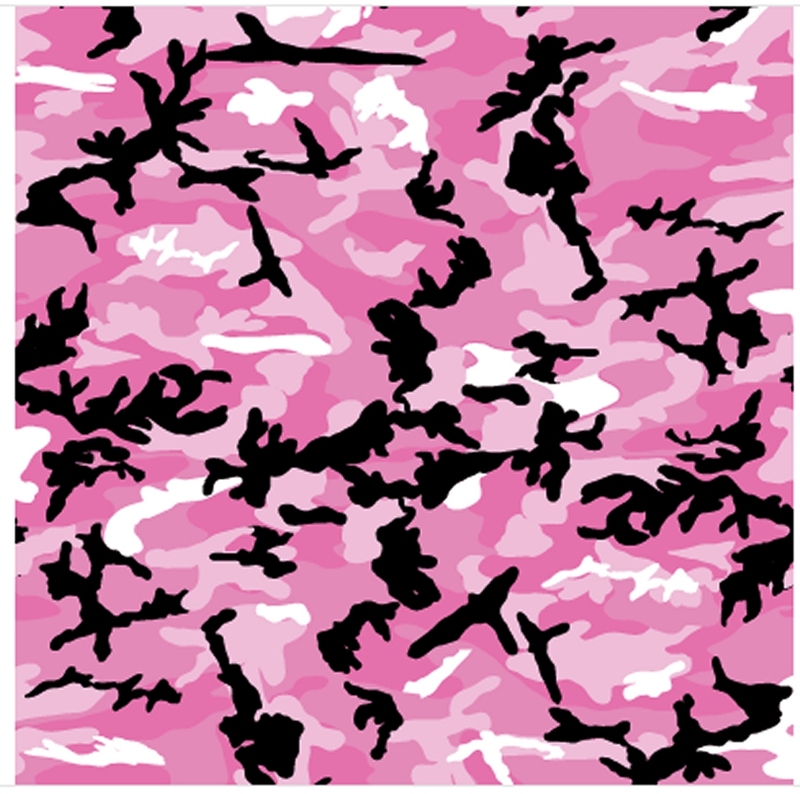 Pink Camouflage Bandana Scarf Extra Large 27 Inch Square 100% Cotton. Camouflage bandana in a mix of pink, black and white. Machine washable with similalry coloured cotton garments. Will soften with wearing and washing. Larger than the standard 22 inch square bandana, it's much more versatile too. Use as a doo rag, scarf, belt, headband for hair, rag jewellery for bracelets, baby bib, pet fashions, dog collars, embellish denim jeans, skirts or shirts, makeshift bikini, first aid bandage, arm sling, tourniquet, face covering mask, sweatband, trail marker, measuring tool, sew together for tablecloth, making a quilt, patchwork soft furnishings, napkins, curtain tie-backs, covering books, doll clothing or blankets, make an apron, pirate cos play, cover scrapbooks, cover a lampshade, make cushion covers, cover a noticeboard, make jewellery or travel pouch, swim bag, shoe bag, table placemats, fancy re-suable gift wrap, handkerchief, the possibilities are ENDLESS …..